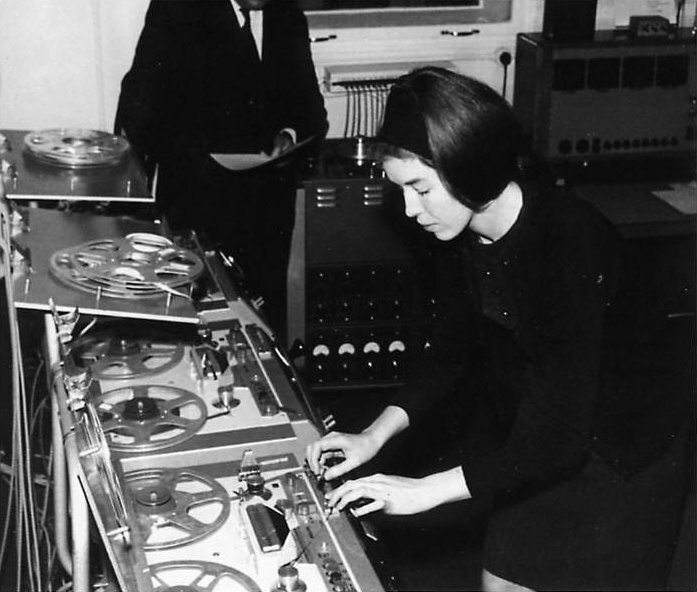 Delia Derbyshire was born in Coventry, England, in 1937. Educated at Coventry Grammar School and Girton College, Cambridge, where she was awarded a degree in mathematics and music.In 1959, on approaching Decca records, Delia was told that the company DID NOT employ women in their recording studios, so she went to work for the UN in Geneva before returning to London to work for music publishers Boosey & Hawkes. In 1960 Delia joined the BBC as a trainee studio manager. 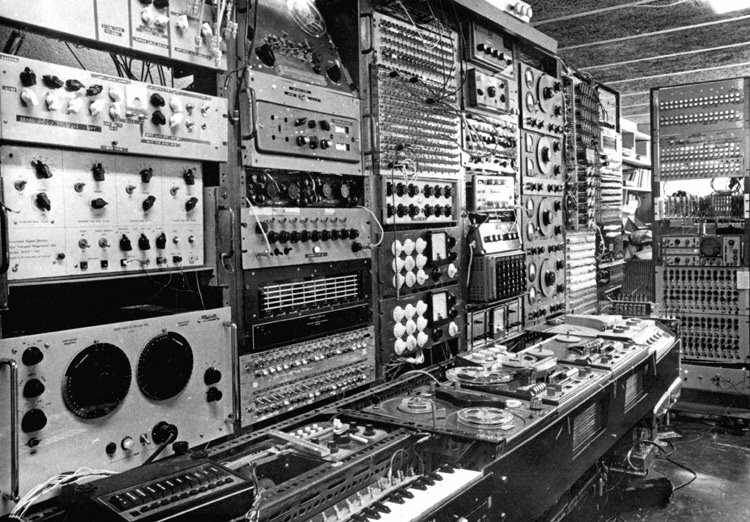 She excelled in this field, but when it became apparent that the fledgling Radiophonic Workshop was under the same operational umbrella, she asked for an attachment there – an unheard of request, but one which was, nonetheless,granted. Delia remained ‘temporarily attached’ for years, regularly deputising for the Head, and influencing many of her trainee colleagues. To begin with Delia thought she had found her own private paradise where she could combine her interests in the theory and perception of sound; modes and tunings, and the communication of moods using purely electronic sources. Within a matter of months she had created her recording of Ron Grainer’s Doctor Who theme, one of the most famous and instantly recognisable TV themes ever.